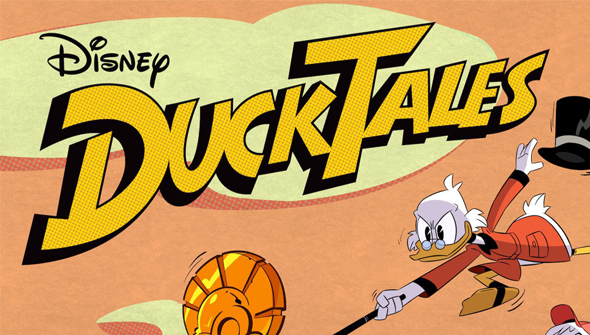 Fresh from the new art and teaser, we now have the next bit of crucial information about next summer's DuckTales revival- the cast. And it has been revealed in perhaps the most charming way possible- by showing them singing along to the classic theme song. If you don't want to have it spoiled watch the video below before reading on! In the order they are revealed in the video: Bobby Moynihan (We Bare Bears, Inside Out) will play Louie, Ben Schwartz (Parks and Recreation) Dewey and Dani Pudi (Community) Huey. Kate Micucci (Garfunkel and Oats, Milo Murphy's Law) will voice Webby, Toks Olagundoye (Steven Universe) Mrs Beakley and Beck Bennett (Saturday Night Live) Launchpad McQuack. The question we've all been asking though is who will voice Scrooge McDuck himself- following in the webbed footsteps of the late, great, Alan Young? As the video reveals, we now know it will be none other than one-time Doctor Who star (and confirmed Scot) David Tennant. The cast is an interesting mix of established voice actors and people better known for on-camera work. And although Tennant is best known for his role in Doctor Who, he's also been in a number of voice performances including Aardman's Pirates and the How To Train Your Dragon series. Still, following on from Young, those are some pretty big shoes to fill. DuckTales will air on Disney XD starting in summer 2017. What do you think of the new casting? Let us know via social media or in the comments below.